Following the planning application for the redevelopment of Wolstenholme Square in Liverpool, Cream recently confirmed that Nation, the home of Cream, will be closing its doors for a final time at the end of this year to make way for a new subterranean music venue on the same ground as the iconic venue. The £40m year-long development designed by Liverpool architects Falconer Chester Hall will transform Liverpool’s historic Wolstenholme Square and will see the creation of new buildings ranging up to 10 storeys, a new passageway through to Wolstenholme Square to Seel Street, as well as featuring ground floor commercial space for cafes, restaurants, shops and a new home for Cream. Elliot Group MD said: "This scheme is a unique opportunity to fit a state-of-the-art nightclub seamlessly alongside modern homes, both of which are key to Wolstenholme Square's long-term competitiveness and appeal. Ensuring the scheme is well-matched to Cream's needs has been a key focus throughout and we're delighted that we've now reached a point where everyone is really eager to see things get going." The new venue remains on Nation’s original footprint, and the designs, which will soon be released, will retain its ‘industrial’ and ‘underground’ feel. As well as featuring state of the art sound, the new multi-room imprint will also be adaptable to create one cavernous space, offering better production and broadening its appeal to attract and become an exciting new live music venue for the city. Nation, which has been the home of Cream since it began in 1992, has been the mecca for dance music fans around the world attracting thousands of clubbers every week. 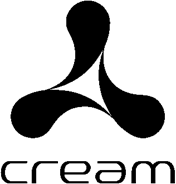 Having closed its doors as a weekly venue back in 2002, Cream has continued to host a series of parties throughout the year attracting some of the world’s biggest electronic artists. With the closure of Nation imminent, Cream will soon be announcing a series of shows coinciding with their 23rd Birthday celebrations, with their final closing party taking place on Boxing Night. With line ups still to be announced, you can expect to see performances from DJ friends old and new all returning to bid farewell to easily one of the world’s most famous clubs.